Aside from the debuting Jordan Super.Fly 2 model, another stunning supernova-inspired kick hit the market. 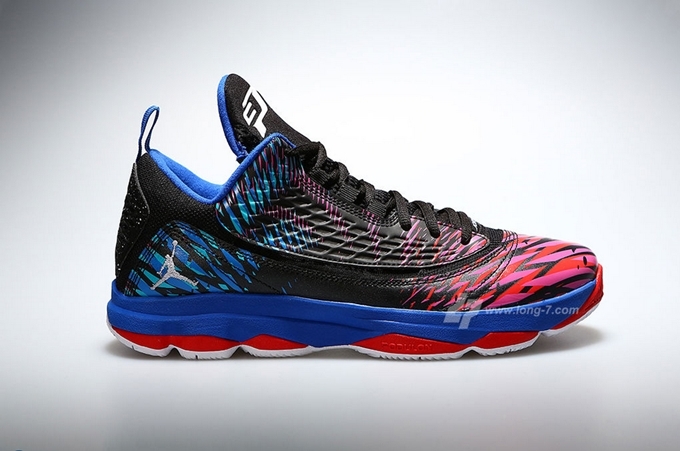 The Jordan CP3.VI AE is also now available in a “supernova” edition featuring an eye-popping combination of black, white, sport red, and game royal hints that produced a very uniquely-designed upper part. This edition of the AE variant of Chris Paul’s sixth signature shoe with Jordan Brand is officially listed as the Black/White-Game Royal-Sport Red. This could be yours for just $125 – a price that is definitely worthy of what you will be getting from this kick.